Play the classic side-scroller shooter that spawned many genres and inspired many games! 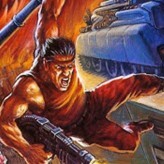 Defeat bad guys and aliens in this challenging retro-shooter - Contra! This well-made classic game employs a variety of playing perspectives including the traditional side-scrolling, a pseudo-3D perspective, and so much more making it innovative at the time. Play the role of an elite soldier specializing in guerilla warfare and shoot your enemies and complete all challenging levels! Avoid enemy shots, enemies, and destroy dozens of targets. 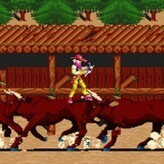 The game became widely popular in the arcade and remained its popularity even when ported to the home consoles. 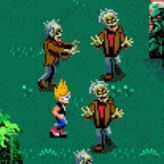 Currently, the game is regarded as one of the best classic titles for the arcade shooting genre of all time. Have fun! 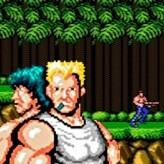 Contra is an online NES game that you can play at Emulator Online. This free Nintendo game is the United States of America region version for the USA. Contra is a single title from the many shooting games, arcade games and skill games offered for this console. If you enjoyed playing this, then you can find similar games in the nes games category. 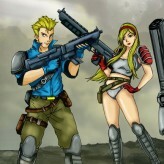 Contra game is from the various retro games on the site, and there are more games like this, including Contra 3: The Alien Wars, Contra: Hard Corps and Contra Force.